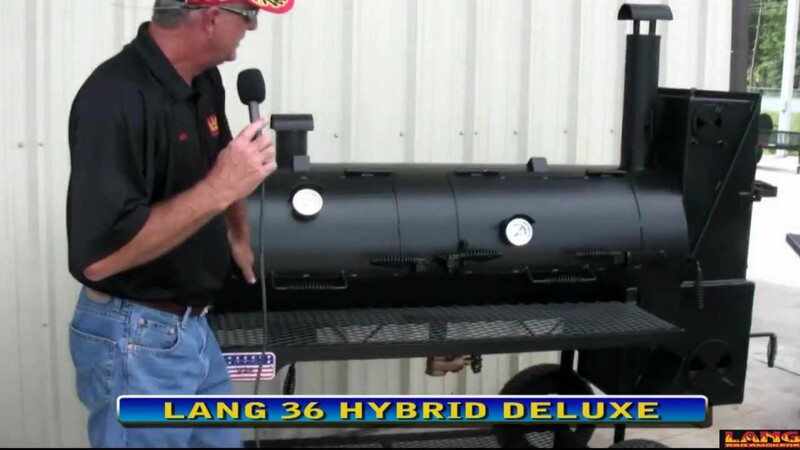 Which Lang BBQ Smoker MODEL should I choose? 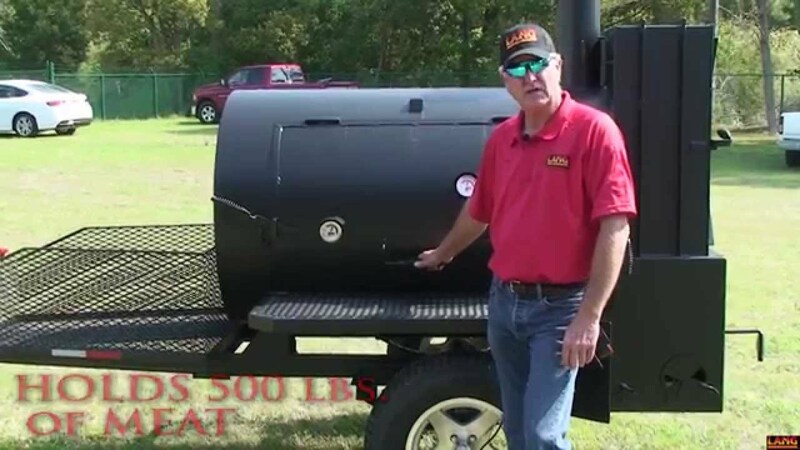 Ben Discusses how to pick the right Lang BBQ Smokers® cooker that fits your needs. Ben will explain each series as well as touch base on some of the individual models. Small cookers, like the 36" and 48" series, are perfect for the backyard but powerful enough to compete. However, medium and large cookers are preferable for competition since they are larger in size. Competion cookers include the 60" and 84" series, as well as the 48" series. Large cookers are ideal for commercial usage, so the 84" and 108" series are favored when it comes to smoker cooking for business. Each series offers a variety of models. Original models are the base models- just the smoker cooker. Deluxe consists of the original plus a warmer box. Some models come with a chargrill attached to the unit, or even as a part of the cooking cylinder, commonly known as a hybrid model. There are other model types depending on what series you are looking at. 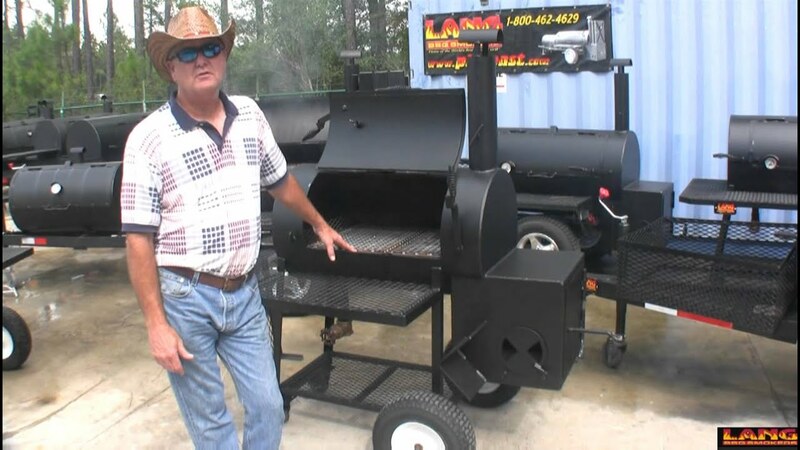 To see all the models and series, go to our Smoker Cooker page. 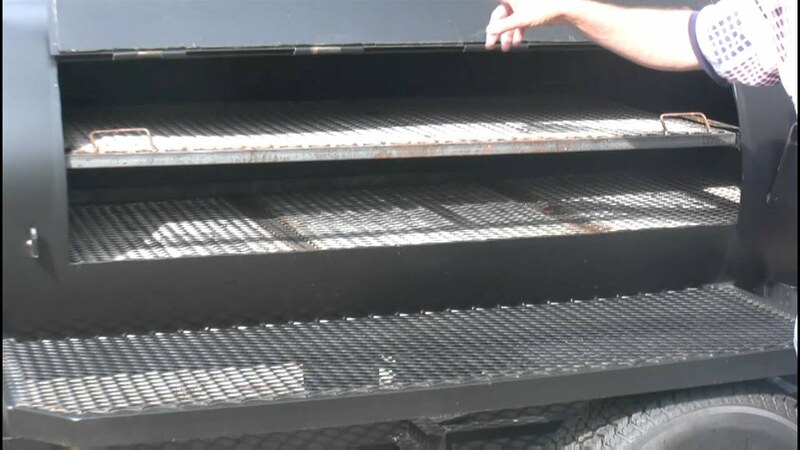 Be sure to read the FAQs about choosing a smoker cooker down below. 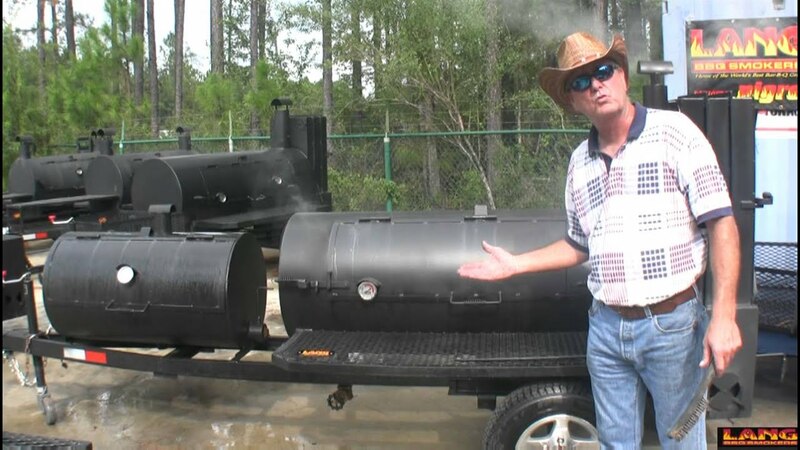 Want to know about a specific smoker cooker series? Below are the individual parts of the video above. Click on the video that interests you. I'm looking for a cooker that I can build into a masonry island. Do you have any models that would work for this? We sure do. Just pick the size you want and buy it less the trailer frame, cart or cabinet. You can buy any size, anyway you want. Deduct $395 for the model 84 trailer and $295 for the model 60 and 48 mobiles. Patio carts deduct $195. They look really good installed this way. And there are so many options available. I don't know anything about cooking with woods and charcoal. I am propane user and sick of it. I want to be able to smoke and also grill. We have a restaurant (SouthSide SmokeHouse & Grille. 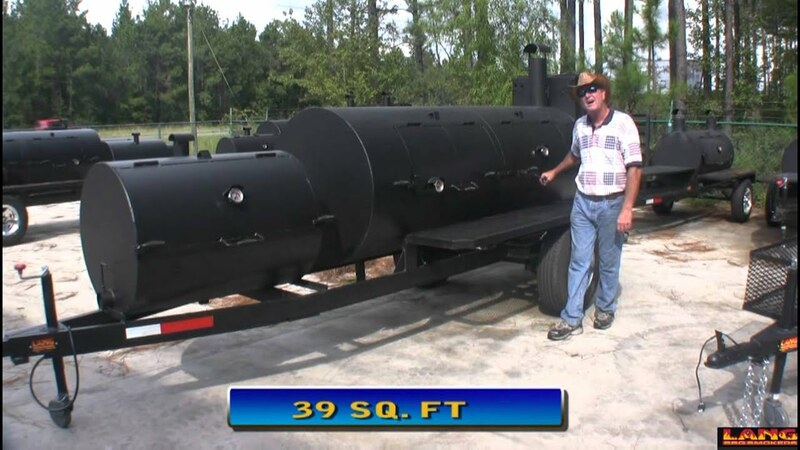 We are using a large Southern pride on wheels that I had previously used for my catering business. I am interested in a unit like the 84 for my catering and to cook smaller amounts of chicken and ribs. 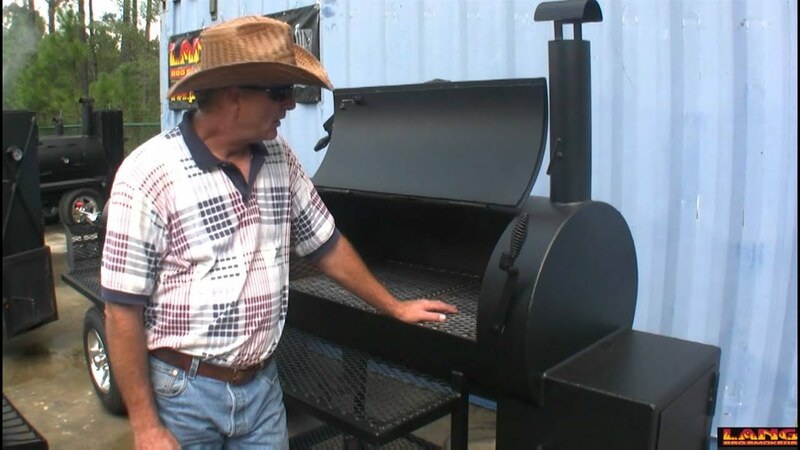 The model #84 smoker/cooker is the complete barbecue grill and with a deluxe warmer would be perfect. It works so well it will spoil you! It's quick and easy to get one. Just pay for it, and we can have it brought right to you, in many cases same day or next day service. You won't regret it! I have the passion for grilling and smoking foods. We have a small cooking team that visits about 3 cook-offs a year and up till now have been cooking on multiple grills to accomplish our needs. 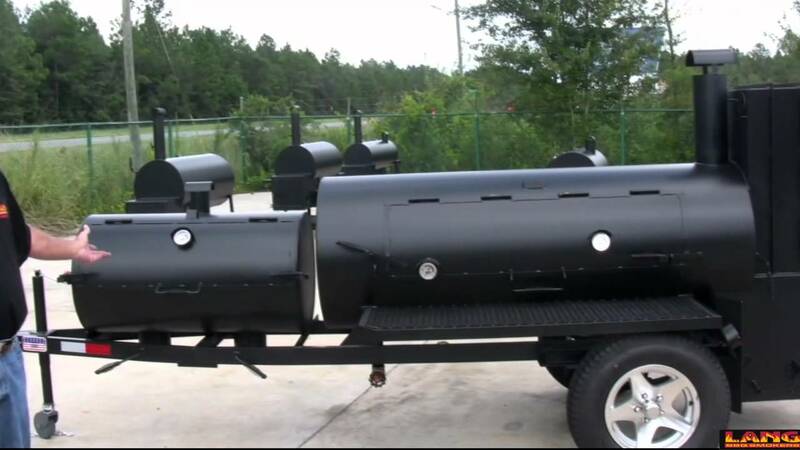 I also want to use the new smoker for my own needs in the back yard. My questions are: Can I get the warming box on the model#60? What do you use on the bottom of the barrel, water or is that for draining the fat? Could we possibly cook multiple heat zones on this cooker? Could I heat the grill up hot enough to grill on and not slow cook? Finally, what would be the freight to 21044 zip code and how soon can I get it? How wide is it? Doors on both sides or one? Yes, you can get a warmer on a 60 standard that $200.00 and is just to warm in. A deluxe is $350.00 and you can cook in that. The bottom of the tank is for a drain but you can close the gate. I'm debating on 2 of your smokers. The 48 mobile or the 60. I'm planning to use it on a cook out with friends for 15 people. I'm also interested in cooking a full size pig. Last, I do not want to buy a size too small and regret not buying a larger one.